Do you want a specific page to open up when Chrome launches? 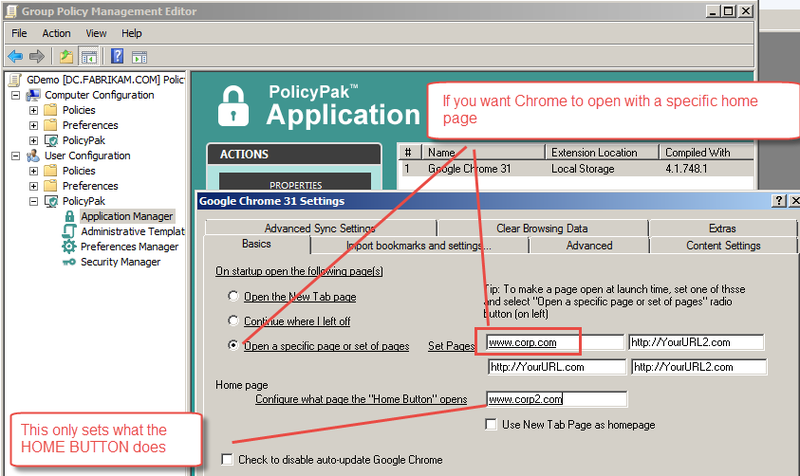 See in the figure below how to configure Chrome for those two scenarios. Note that one way will set what happens when the “Home Button” is pressed. And the other way will specify what happens at launch. You need to set BOTH “Open a specific page or set of pages” and specify at least one “Set Pages” URL for this to work.